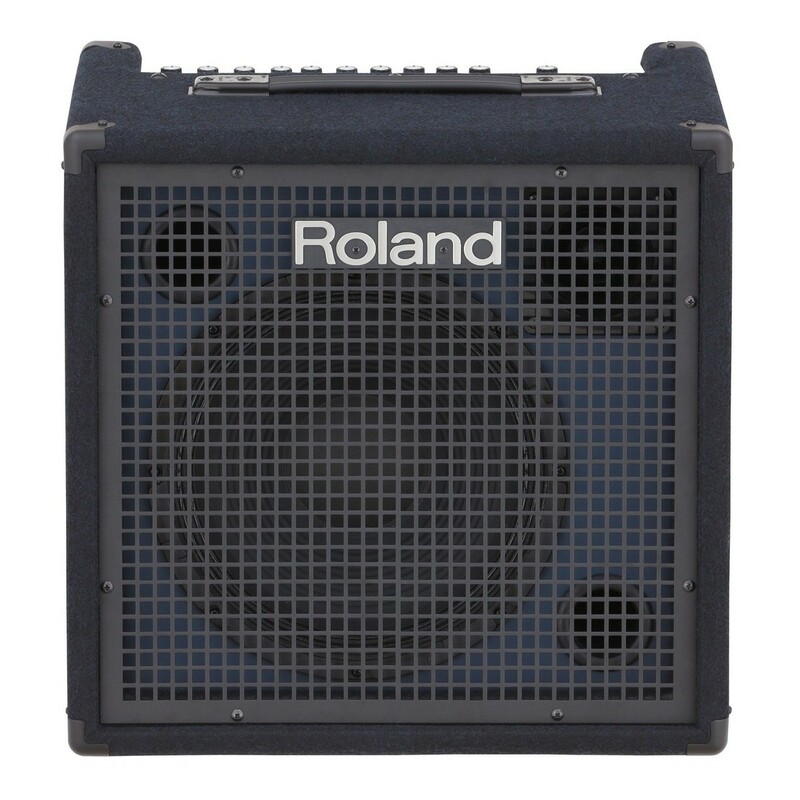 The Roland KC-400 Keyboard Amplifier has a 150W output power, making it suitable for gigging musicians. The amplifier's 12-inch woofer projects a balanced bass response, whilst the additional tweeter creates clear high frequencies. The KC-400's has an XLR input for vocal microphones, as well as an aux input for playing music from your multimedia device. 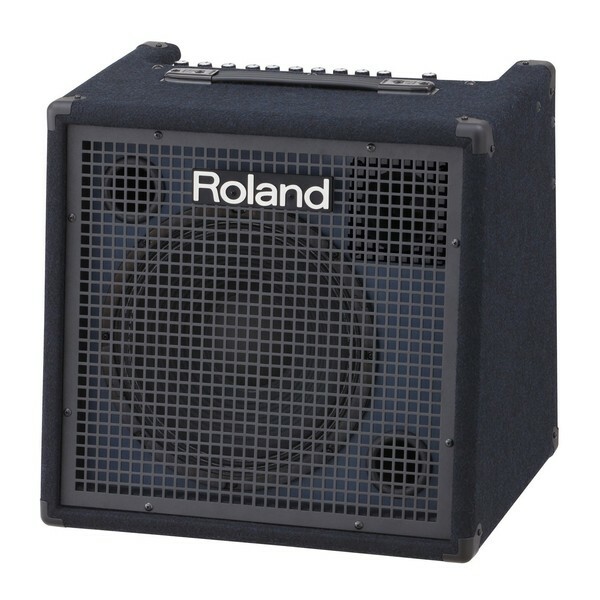 This model's enhanced power amp projects a powerful bass response, making it ideal for outdoor venues and busking. The KC-400's master volume knob keeps your sound level, whilst the EQ controls can be adjusted to suit your preference. The KC-400 benefits from a heavy duty frame to keep it protected whilst in transit. 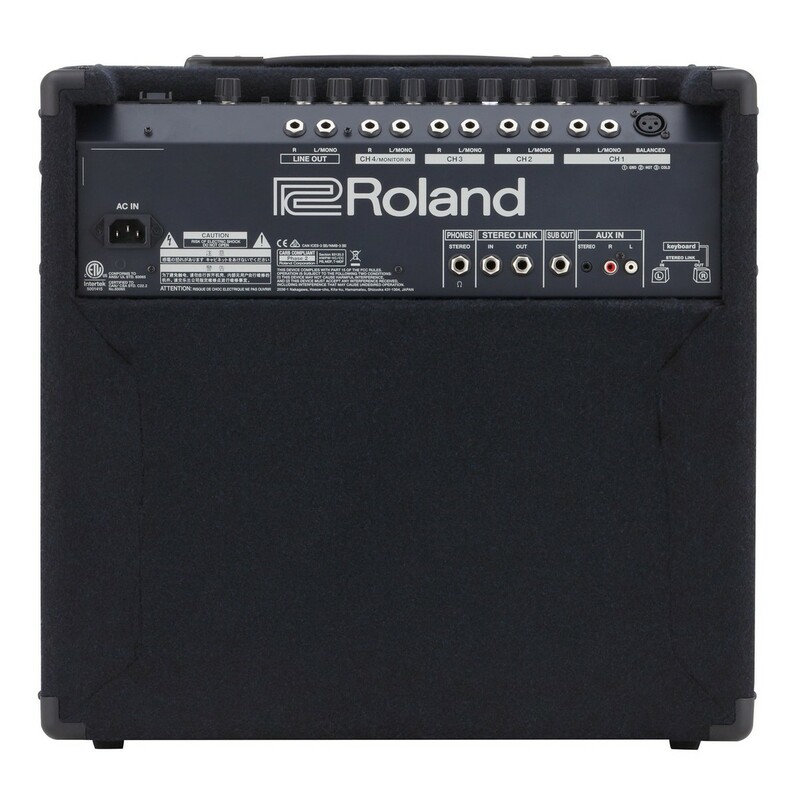 The KC series of amplifiers are suitable for any playing environment. The rugged frames and heavy duty speaker grills keep the speaker protected from impact when on the road. 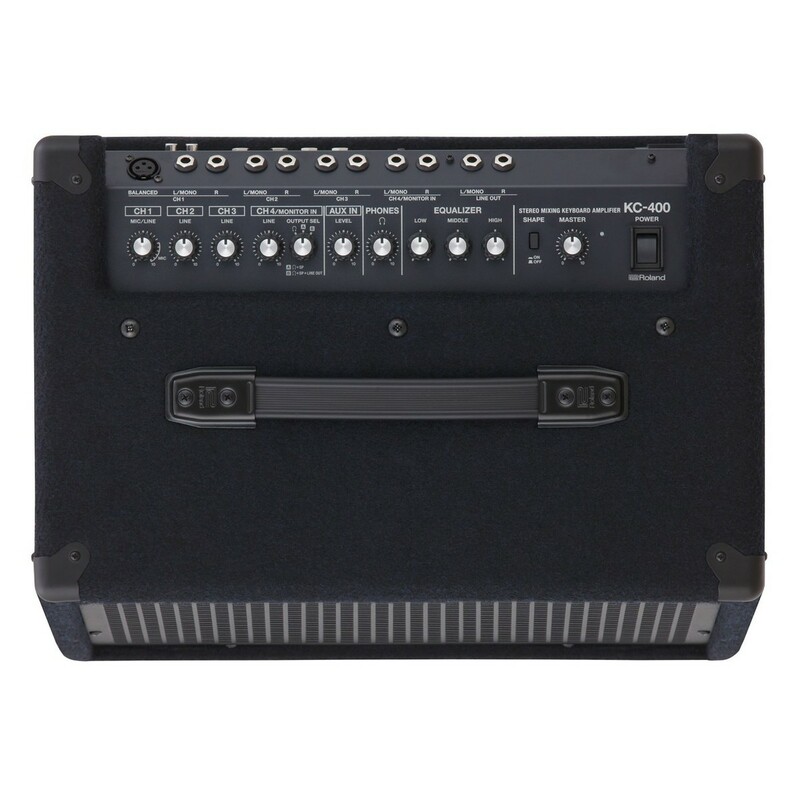 The KC amplifiers’ large range of ports allow you to connect your keyboard, microphone and phone. The loud volume outputs can reach comfortable gigging volume, whilst each model’s EQ settings let you tweak to your preference. This series has become the industry standard for musicians who need a reliable amplifier for any venue.